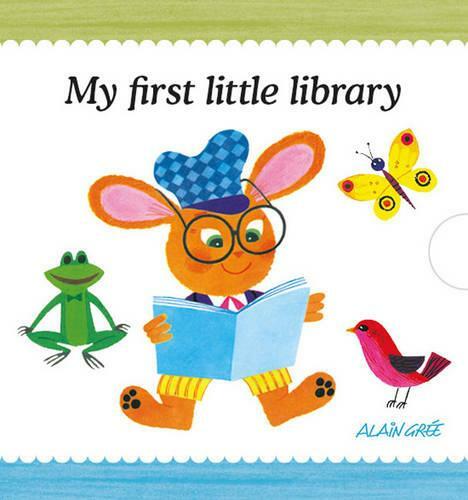 Leading on from the very successful Alain Gree board books, also published by Button Books, comes this set of four mini board books beautifully presented in their own slipcase. The titles chosen for this set are: Colours, Animals, Numbers and Letters. Each mini book uses the same design and content as the original, larger format board books. The small size of each title will be very appealing to little children and the set will make an ideal gift. The back cover of each book doubles up as a puzzle showing one quarter of an image, put the books in the right order to create one of Alain's illustrations!